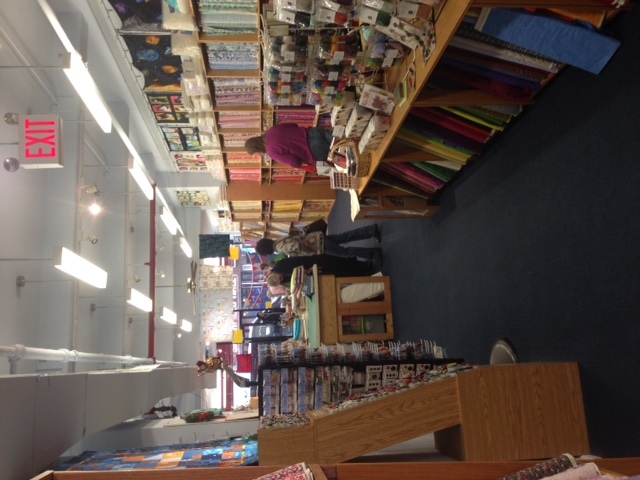 Recently, I was invited by Dale Riehl, owner (along with his wife) of The City Quilter, to visit their shop, an 18-year old store in Manhattan devoted to everything fabric. 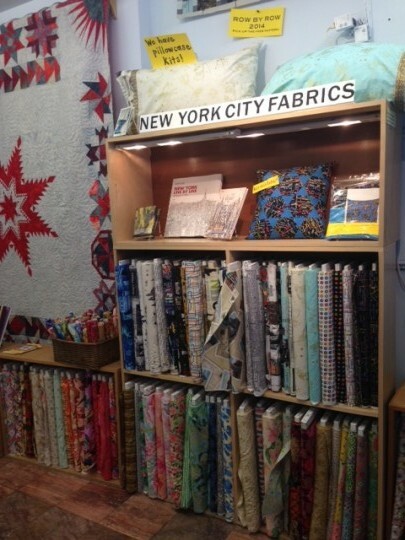 For the last five years, The City Quilter has been designing its own fabrics that are only sold in its Chelsea shop. Dale had reached out to me because they are proud to now offer a fabric specifically designed for their shop, their “Susy’s Paris” fabric. Why “Susy”? The artist is Susy Pilgrim Waters, a British designer but long-time resident of the U.S. If you’re worried it won’t actually look like that, consider signing up for one of the shop’s many quilting or sewing classes if you’re in New York! I find the quilt kit to be very reasonably priced: $99 includes all the fabric you will need except the backing for a finished quilt of 72 1/2″ x 72 1/2″, plus the pattern and instructions. What a great gift for someone with a love for Paris or a great souvenir for yourself from your next Paris trip. No one has to know you actually bought the kit online and not in Paris! 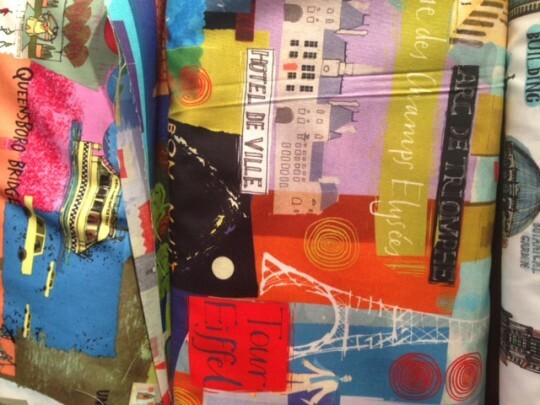 The Paris fabric is the first non-New York city fabric that The City Quilter has commissioned. 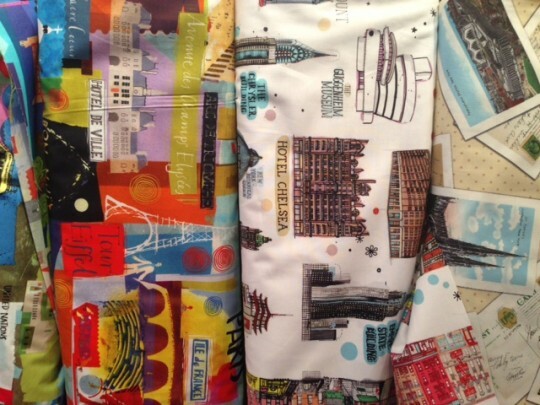 They have 14 different (and beautiful) New York fabrics (with two more to arrive in June), all their own designs, including one that commemorates the recent 100th anniversary of Grand Central Terminal, one similar in style and design to the Paris fabric but with New York landmarks (Susy’s New York), and several subway map-themed prints. The City Quilter is the only fabric-maker with a license from the MTA to reproduce these maps. 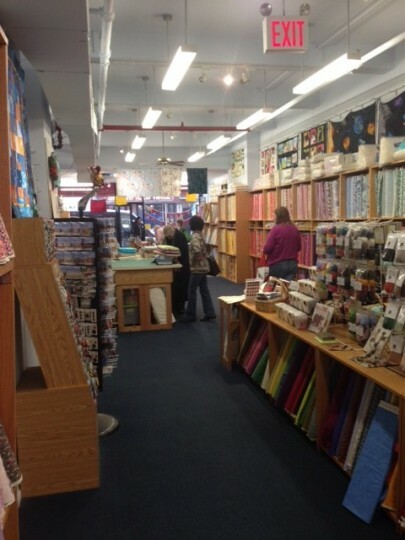 The City Quilter carries over 4,000 fabrics in all, many but not all their own designs, and from all around the world. 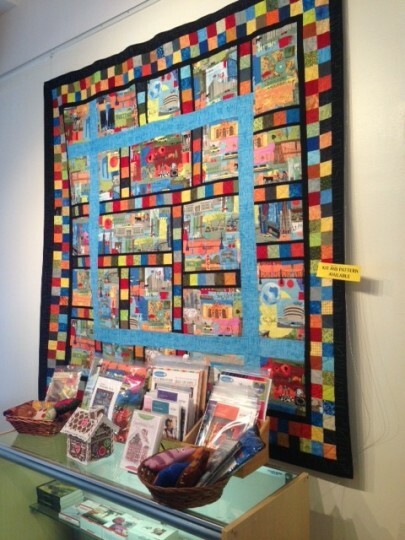 You can read more in this New York Times piece about how the shop has helped to build a real quilting community in New York over the last two decades. 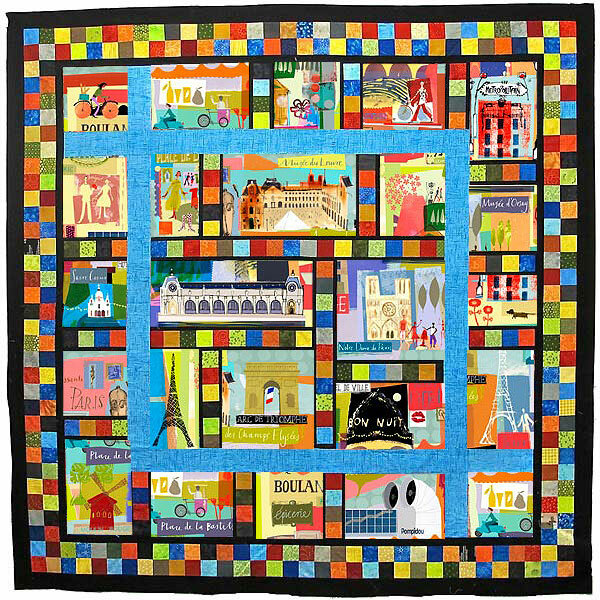 You don’t need to visit New York to purchase the Paris fabric, Paris Quilt-making Kit or any of The City Quilter’s other products. They are all available online! 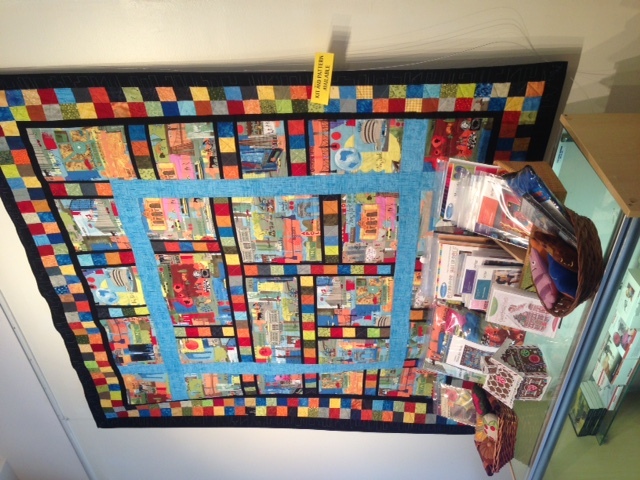 And be sure to visit The City Quilter’s Facebook Page!